The Allied invasions of Sicily and Italy in 1943 were bloody and pivotal, securing the Mediterranean, capitalizing on the overthrow of Mussolini, and pinning down German troops that could have been used on the Russian Front or in France after D-Day. 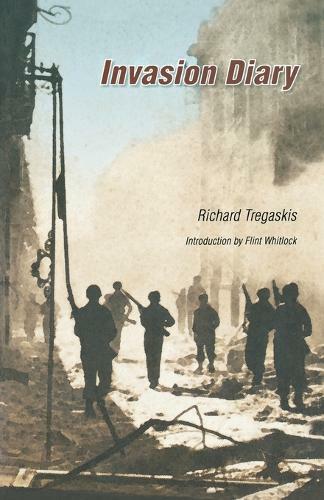 The men who made the Allied victories in Sicily and Italy possible-soldiers and officers, bombardiers and drivers, doctors and generals-are honored and remembered in these pages by famed war correspondent Richard Tregaskis. Fresh from his memorable days in the field on the Pacific island of Guadalcanal, Tregaskis shares an intimate and rousing diary of the Sicilian and Italian campaigns. His experiences take him from bomb-bay doors over Rome to one of the few hotels left standing in devastated Palermo, Sicily, to the chaotic front lines in Italy, where he nearly died from a shrapnel wound. The gleaming ivory grips of Gen. George Patton's pistol, the terrified face of a soldier engulfed by the hellfire of combat, the extraordinary skill of a military surgeon-the uniquely American features of the Second World War are unforgettably inscribed through the pen of Richard Tregaskis.